Home Analysis Col. Patrick Karegeya: What South Africa, Rwanda can and can’t do. Col. Patrick Karegeya: What South Africa, Rwanda can and can’t do. Today, judge Mashiane Mathopa of Randburg High Court, ordered the South African police investigators to explain “what, if any, steps have been taken to arrest the Rwandan suspects, since their whereabouts and their identity are known,” reported the Globe and Mail’s Geoffrey York. He gave them two weeks to comply with his ruling. Holding that police investigations link the suspects to the Rwandan government, the judge further held that the inquest into Karegeya’s death, requested by the prosecutors, does not enjoy “public confidence” and would be “premature” at a time when key evidence is still not completed, and nothing has been done to arrest the suspects.” The family lawyer, Gerrie Nel, had earlier argued, and rightly so, that the prosecution should instead file criminal charges. The first striking issue here is why South African prosecution requested an inquest yet the issues of facts and issues at law are glaringly clear from South African police’s investigations as it clearly emerged from today’s ruling. It is apparent that SA prosecution services, as family lawyers rightly argued, had or have no intentions of pressing charges against the four suspects in Karegeya’s murder- all Rwandans. Should this be true, does the court then have the authority to order the prosecution to prosecute the suspects? Certainly No. To prosecute or not to prosecute a suspect is a preserve of the executive and no other arm of the government has any legal authority to order as such. Assuming the prosecution decides to press charges, the argument has been that South Africa doesn’t have an extradition treaty with Rwanda and therefore extradition will not be easy. Others referred to South Africa’s rejection of Rwanda’s request to extradite Gen. Kayumba Nyamwasa as a pointer to why Rwanda won’t extradite the 4 suspects. Both arguments are wrong at law. Article 29 of the Rwandan Constitution, among others, states that Rwanda cannot extradite any Rwandan to another country. 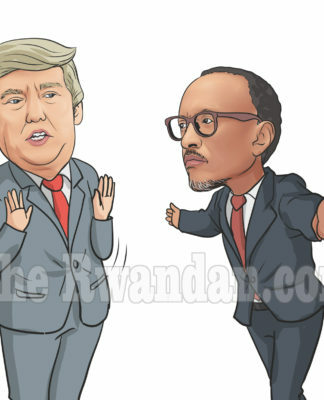 The same article states that extradition of foreigners is authorized only if it is in accordance with the law or international agreements to which Rwanda is a party. Extradition of suspects in Patrick Karegeya’s murder is therefore out of question. What South Africa can do in such a situation is to issue international arrest warrants for the suspects to be arrested should they cross Rwanda’s territorial jurisdiction. A trial in absentia may be an option but loaded with problems at both implementing level and the right to a fair trial, because, in this case, no voluntary waiver of a fair trial guarantee can be invoked. Should a conviction be secured in such a scenario and the suspects are arrested pursuant to an international arrest warrant, then that would mean a new trial because of the fundamental right to a fair trial. On the other hand, Rwanda can itself prosecute the suspects. Should the court opt for a prosecution instead of an inquest and South Africa’s prosecution services opt to press charges; Rwanda is likely (emphasis added) to ask South African prosecution any evidence incriminating the suspects, promising to prosecute them. And this is the best exit strategy for Rwanda. Why? Article 11 of the law, Nº 68/2018 of 30/08/2018, determining offences and penalties in general, states that a Rwandan citizen who commits a felony or a misdemeanor outside the territory of Rwanda may be punished in accordance with the Rwandan law as if the offence was committed in Rwanda, provided that such an offence is punishable by the Rwandan law. Consequently, given that South Africa has linked the suspects to the government of Rwanda, it is likely that Rwanda shall stage a trial, sentence the suspects to some years in jail, while in actual fact, they are breathing free air at the terraces of Kigali’s posh hotels. And should this happen, then the arrest warrants lose legal value because of the principle of double jeopardy. The plaintiffs better beware. 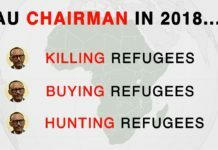 Kagame’s Dictatorship: A guide to Africa’s most repressive regime.